Fabi is our resident audiobook lover. While I think she reads more than listens, I know she’s started listening to audiobooks regularly on her daily commutes and she’s hooked! ➜ I like audio books too. I always have one going anytime I’m driving. … Since I only get an hour or two of listening time/day Mon-Fri, it forces me to savor the book instead of fly through it like I normally would. Well, not as fast as some of you do…but still. ➜ the least expensive Audibles I find are the ones that have Whispersync for the books I already have on my Kindle library. Since the tbr is so big, there’s always something there I haven’t gotten to read yet. 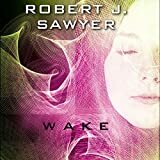 Sometimes I picked up a free Kindle book and can add Audible to it for $1.99. I use that tool that Maryse posts above to help me find Audible versions of books I already own with. You just have to sample the narrator first to make sure it’s a good one. 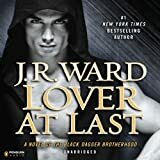 ➜ …right off the top of my head, Lover at Last: Black Dagger Brotherhood, Book 11 was a huge favorite of mine. But, you have to have followed the series to get the full impact, even though it’s a stand alone novel inside the series. 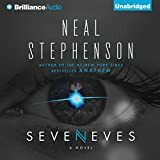 ➜ for my new audible listen, I’m going to start Jan30′s recommendation, Seven Years. It sounds like it’s a complete series now and the books may read as stand alones anyway. I didn’t even check on the narrator before buying this one. lol I think I’m a little giddy with wanting to start new books this weekend. …. I’m loving it. Nicole Poole is a fantastic narrator. ➜ Audio books – depending on the narrator can either add to a book or detract from it. Right now I’m listening to Donna Grant’s Dark King narrated by Antony Ferguson. He has a Scottish accent that adds unbelievable authenticity to the story… Of course, I don’t know if it was a real Scottish accent or not. But it seemed he had a harder time with the American accent of the only American character than he did with the Scottish ones. Of course it was PNR with dragons and such. ➜ the Audible subscription is cost-effective only if you use it enough to make it so. I’ve discontinued it and restarted it a couple of times based on how much I use audio books at the time. Some audio books cost well into the $20′s, so the credit that you pay $14 for is cost-effective as long as you “buy” at least one of those per month. Mostly, it’s 1 credit = 1 book. Never use your credit on a $1.99 book because that would be throwing money away. Credits will roll over for a few months if there isn’t a good expensive book you want in a particular month. …The last one I used a credit on was Marked in Flesh. The price is $24.50 so by using a credit I saved about $10 on it. The next one I want to use a credit on is $17.14 (30% reduced because of the subscription and still $3 more than the monthly subscription costs). I used to go through a couple of audio books a week so I had a higher credit subscription back then as well as taking advantage of their sales and bonus credit buys. ➜ Now I don’t spend as much time driving and read more on my Kindle so I take advantage of the Whispersync bargains we get when we already own the Kindle version of the book. That was long…hope it made sense. ➜ I also subscribe to Audible but I save those credits for expensive books. …You definitely got the hang of those Audible credits. I use mine on the expensive books and fill in during the month with the $1.99 whispersync ones on my Kindle tbr. If I remember correctly, I think they’ll offer you one more reduced rate period after the initial one. I’m not 100% sure because when I did it some years ago I had the highest monthly subscription book number because I was commuting such long distances. It was way better than listening my constantly off key singing. Ha! AND!!! She’s prepared a favorite audiobooks list just for us!!! “This was harder than I thought it would be. First because I couldn’t sort by rating on Audible.com but second and most importantly, a lot of my 5*s were part of a series. I tried not to include any more of those. Then…I ran into the fact that you’ve probably already read all my 5* romance books, so I threw in some that were outside the romance genre for you to look at. “By the way, everything on audible is on a half-price sale until the 18th of this month! I can’t recommend the audiobooks of the Outlander series enough. It’s SO well read with the Scottish and English voices. I go back and forth between reading at home and listening in the car. 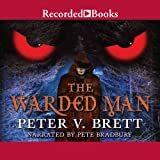 Well I just listed to The Warded Man on Fabi’s recommendation and it was AWESOME, both book and Tom’s narration! My audio rec: any of The Others series by Anne Bishop. I love listening to audio while doing yard work, cleaning the house, going for a run. I haven’t listened to any of Fabi’s, but will have to listen one of Tom’s narration. My favorite audio I have listened to is That Boy series- audio elevates the “hilariousness” that much more. Speaking of Tom H., did you see where he and Hugh Laurie (from House) are starring in a new 6-part miniseries on AMC? I LOVE how much you talk!!! This is most definitely the best book club ever! I’m so glad I’m not the only commuter that ‘listens’ to a book while reading another at night (before work, at lunch…you know!) My very favorite of all time is the audio version of OUTLANDER. Davina Porter should get an Oscar for her narrations. She is truly remarkable. How Beauty met the Beast: Tales of the Underlight (Trilogy) by Jax Garren narrated by Therese Plummer. Great story; dystopian feel. The Beast: Scarred. Damaged. Living with a terrible secret. Agent of the Underlight Wesley “Hauk” Haukon has nothing left but the fight for liberty against the oppressive Order of Ananke. He’s starting to lose hope…and then he sees her. The Beauty: Despite her night job as a burlesque dancer, grad student Jolie Benoit has always played the mostly good girl. That all changes following a scorching sexual encounter with a stranger whose face she doesn’t see. Here’s a great example: Audible purchase alone for one book is $15.99. But if you “combo purchase” buy the Kindle version for $1.49 & add audio for $2.99 and you get both versions for under $5 each! Audible also has a Daily Deal; this is how I came across 600 Hours of Edward by Craig Lancaster. This was a HUGE pleasant surprise and the narrator Luke Daniels is fabulous! (Though his girl voice is kind of funny and takes some getting used to, but his man voice is outstanding and makes up for it!) I was tickled there was a book 2, Edward Adrift to finish up the story. This is a great underdog/recluse story; I was glued! Edward is a 39 yr. old with Asperger’s and obsessive-compulsive disorder. His carefully constructed routine gets turned on its ear when a single mother moves in across the street… This is now a Kindle Unlimited book with narration!! So if you’re a Kindle Unlimited member like me, definitely check this out! If not, combo purchase for K$3.99/A$1.99. *What I’ve learned about Matchbook, Whispersync & Audio upgrades. Not all books are available in audio. Sometimes an audio book is available but won’t show up in Audio upgrade/Matchbook. Also not all he books that are available in both formats are Whispersync eligible, meaning it won’t automatically update your current location in both formats and you have to do it manually. Prices and upgrade availability does change so the prices/availability I have included today could change at any point. Under Mr. Nolan’s Bed trilogy by Selena Kitt narrated by Holly Hackett was one of my first Audible book experiences. :O It definitely got me hooked on audio books! (This was another Audible Daily Deal purchase back in the day.) Now an Unlimited Kindle book and add audio or Combo for K.99/A1.99. Danette that’s a wonderful explanation and great recommendations. Thank you. I remember a few years ago it was the whispersync feature that convinced me to switch from Nook to Kindle. My place in the book automatically updates no matter if I pull it up on my phone, computer, iPad or Audible. It’s amazing. Tammy, I’ve borrowed quite a few from the library too, but I seldom find a particular book I’m looking for. It’s mostly good when I’m just browsing in general. I don’t listen to audio books because I’m not sitting long enough anywhere to listen. But Outlander on audio could change my mind….both Scottish and Enlish voices….swoon! Fabi, let me know how Seven Years is. I’m so in love with that whole series it’s not funny! I listen to everything from classics (did Pride and Prejudice to best sellers to non-fiction to contemporary romance. Jackie, that is so funny! But an all too true risk of audio books. lol I find myself turning the volume down at stoplights, just in case.